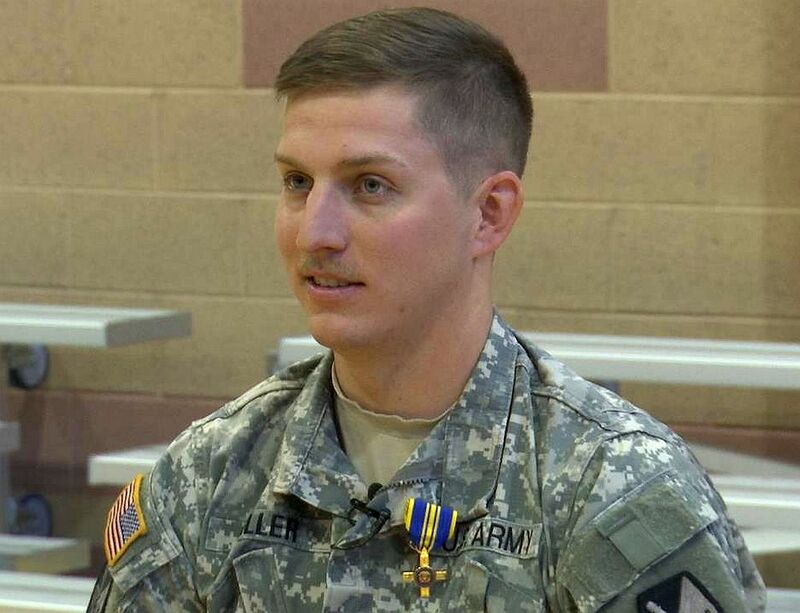 ST. GEORGE — Heroic actions, decisive judgment and quick and accurate decisions are characteristics given to describe a Utah National Guardsman Sunday as he was presented with a medal for his bravery. Cedar City resident Sgt. Austin Miller of Bravo Battery 2nd Battalion, 222nd Field Artillery was honored with the Utah Cross at the assembly. The medal was presented to Miller by the Assistant Adjutant General of the Utah National Guard, Brig. Gen. Dallen Atack assisted by Lt. Col. Chris Caldwell of the 222nd. Miller was traveling to Hurricane from Hildale the night of Sept. 17, 2015, where and assisting in ongoing search and recovery operations related to a devastating flash flood that coursed through Hildale Sept. 14, ultimately claiming 12 lives and leaving one child still missing. On his way to Hurricane, Miller witnessed a traffic accident and took charge of the situation, rushing to aid a 14-year-old boy who was critically injured in the accident. The boy was unconscious and choking on his own blood. Miller initiated lifesaving measures clearing the boy’s airway and stayed by the boy’s side until paramedics arrived. 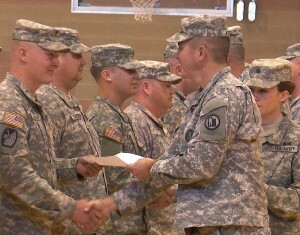 Other guardsmen were recognized with awards for their work during the Hildale floods. All were brought before the assembled troops and congratulated by the officers present, then applauded by their peers.